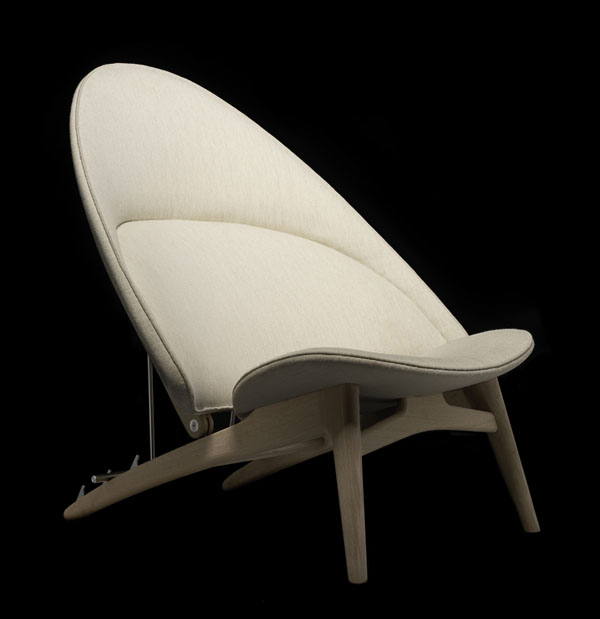 For the celebration of Hans Wegner‘s 100th Anniversary, PP Mobler will launch 3 exclusive chairs in Milan at the MC Selvini showroom. 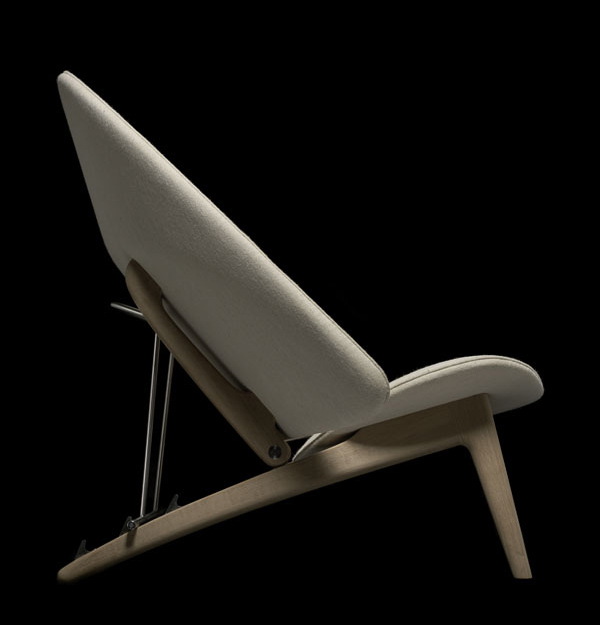 The Tub Chair is the very first one PP Mobler will present as a preview of the Milan show from 8th to 13th april. The Tub chair was definitely a unique fusion where Wegner emerged the new moulding plywood technique with upholstery and traditional wood work in solid wood even adding an angle adjustment mechanism for the back. There is no doubt that the complexity of this design is a brilliant example of the bold and pioneering experiments that Wegner conducted throughout his life, this from 1954 being one of the earliest and the Circle Chair from 1986 being the latest of that kind. The former producer of the Tub chair was Johannes Hansen. “In the late 40’ies and 50’ies this workshop was the preferred and closest partner to Wegner, a role that PP Møbler did not take over before the 60’ies. 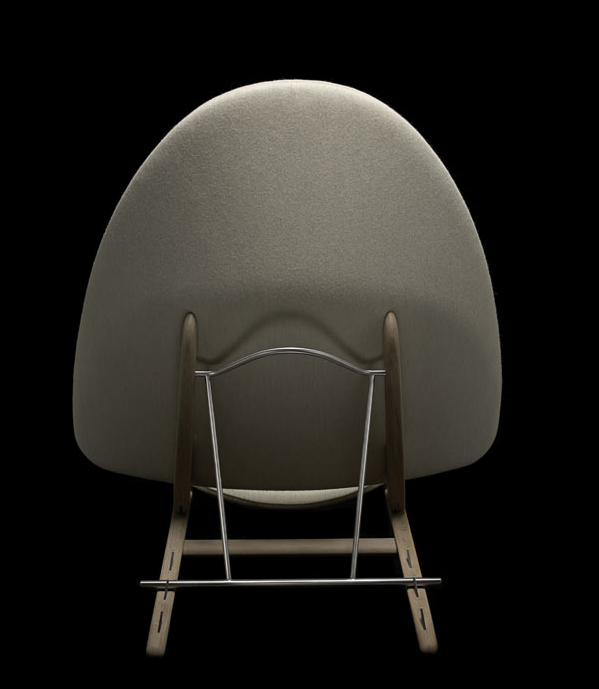 At Johannes Hansen Wegner created most of his significant early fine crafts designs like the Peacock Chair, the Folding Chair, The Chair, the Cow Horn Chair, the Valet Chair and the Swivel Chair. The Tub Chair was as mentioned before one of the most pioneering experiments conducted at Johannes Hansen.“These chairs are important because they are outstanding and unique examples of Wegner’s work with easy chairs, but also because they are unique examples of good design in general. They offer inspiration with pioneering concepts, and they do it as extremely good quality products that are comfortable and will last for a lifetime” explains Master of Craftsmen Kasper Holst Pedersen, PP Mobler. Thanks to Bruun-Rasmussen for their great support !